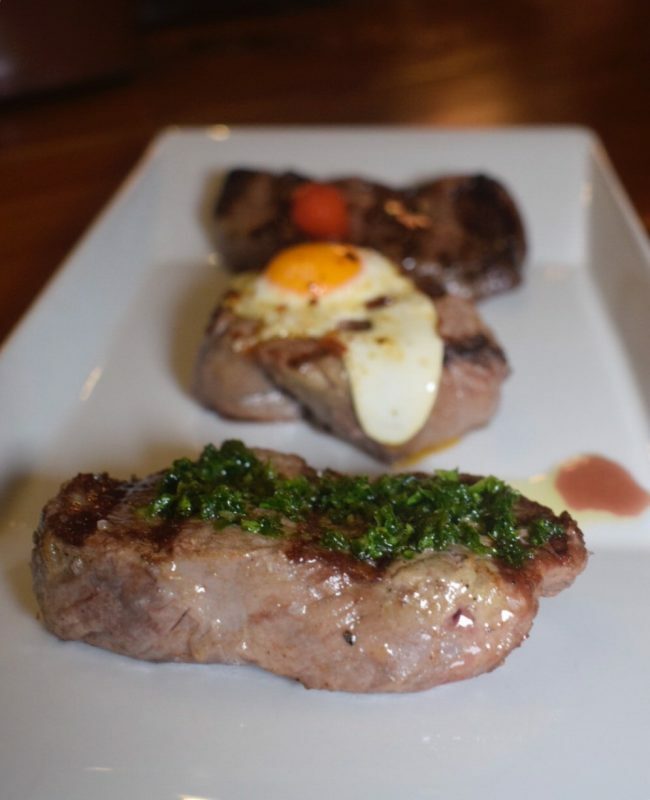 Omnino is an independent high-end steakhouse restaurant in St Paul’s and Leadenhall specialising in Argentinian steak. 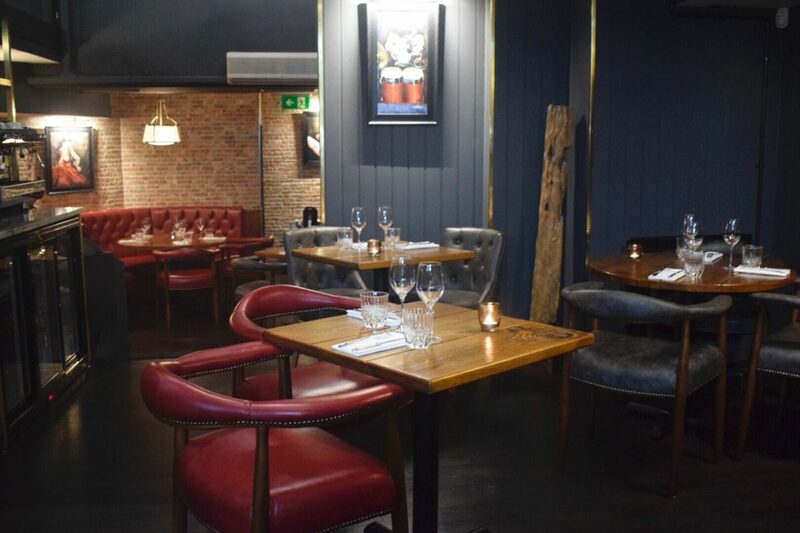 With two locations in central hubs of London, Omnino is perfect for a work lunch with clients as well as a great evening with friends. The attractive plush red décor in Omnino makes for a comfortable and special dining experience. Alternatively, visit the beautioful bar area on the top floor to sample some cocktails and good wine. We kicked off our night with a couple of cocktails rather than starters! The Sapphire & Berries: Bombay Sapphire, creme de cassis, cranberry, maraschino, lemon cherry bitters was light fresh. We also fancied a classic mojito with the hotter weather! The service at Omnino really stood out to me. From the minute we walked in, the staff were attentive without being overbearing. They were also so passionate about Omnino, which was so nice. 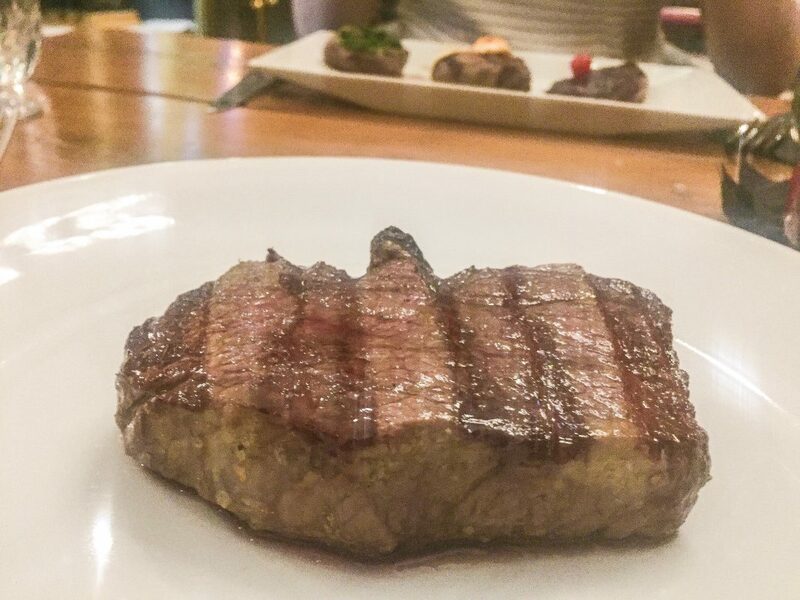 For mains we opted for the Omnino Tasting: 100g Wagyu Picana, 100g fillet and 100g Churrasco Rump. The steak was cooked perfectly and was really flavoursome without being fatty. We also tried the Argentine Rump Steak (250g) which was great value at £18.95. Whilst it will never be as good as a fillet, the cut was large and, again, not fatty. Accompanying the steaks, we delved into the Hand Cut Sweet Potato Chips, Chorizo Pincho. These were more like lighter wedges – delicious without being greasy. We also had some greens – tender stem broccoli and light creamed spinach. As the name suggests, the spinach was not too creamy which you find at other restaurants. We were pretty full from our steaks and sides so opted for two dessert cocktails. The Chocolate Martini: Absolut Vanilla Vodka, Crème de Cacao and Baileys shaken with cream was delightful. I was a massive fan of the Sgroppino: Lemon Sorbet, Absolut Vodka and Champagne. It was so fresh and tangy with the added kick of the alcohol – loved it! Definitely worth visiting Omnino – it was a nice change from the standard steak restaurants, particularly given the level of service. Make sure you order the Sgroppino!